Whether you are looking for a companion, working dog, or even a guard or police dog, the Belgian Malinois along with the Dutch Shepherd puppies are always a perfect choice. They make great pets and devoting time to them will surely pay off with great love and loyalty from your pet companion. 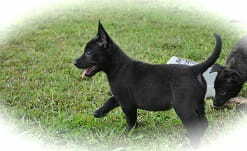 The Belgian Malinois breed is one of the best breeds. Although it needs some period of adjustments during the puppyhood, if the owner is persistent and diligent the Belgian dog will always outgrow any problem with ease. The Belgian Malinois puppies are always tempered which makes their instincts sharp, as they are energetic and fun all the time. They have abundance of energy, and having this in mind, it is important for these dogs to be well trained in channelizing it. 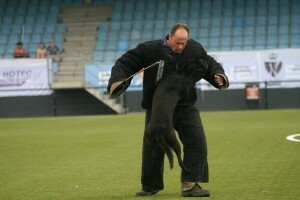 That is why obedience classes for Belgian Malinois dogs guided by professionals are as well preferred. The Belgian Malinois dogs love children. The relationship of these great pets with children is stable and long lasting, especially when they both grow up together. Many people introduce these Belgian Malinois puppies to children at first, which helps them in socializing and accepting the nature. And not only this socializing helps them adapt, it also learns them to accustom quick movements, playfulness as well as noise generated by children. 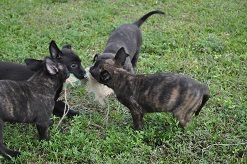 The Dutch Shepherd puppies are as well a dog breed that is prone to outstanding intelligence, a lot of abilities and maximum strength. They are perfect as working dogs but never fail to show loyalty as pets as well. 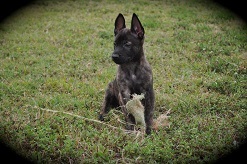 Dutch Shepherd puppies have been officially recognized as police dogs and trained accordingly. Moreover, it is the strength and agility of this breed that makes them special for the police force. 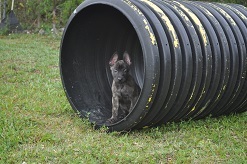 Dutch Shepherd puppies are also one of the most courageous dogs. Outperforming any other breed in many tests, having the Dutch Shepherd dog as a pet would guarantee you that you have a loyal pet protector that possesses great mental and physical endurance.